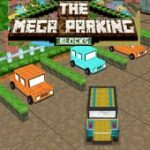 Enjoy your love for cars and minecraft in one game. The worlds of Minecraft invite you to a new car adventure in this racing game. 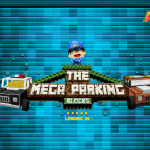 Here you need to masterfully park cars. In the game you can ride a variety of vehicles. Drive among the blocks and streets of a tiny town. 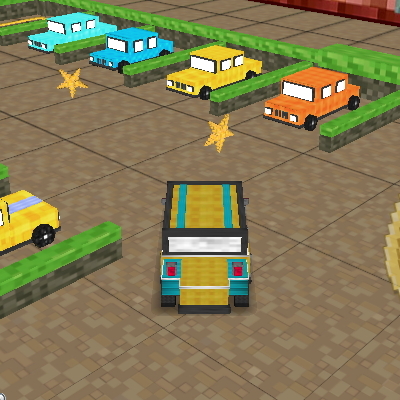 The main goal of the game is to collect all the asterisks and park the car in the specified place. Manage the machine "Cursors/arrows" to slow down, press "Space". The arrows on the asphalt indicate the route. Use the arrows to speed and slow the car. Use spacebar to break and full stop.